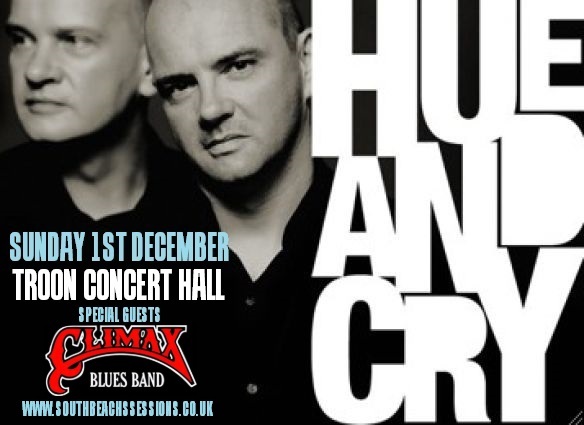 Postpone getting those 1st of December Christmas decorations up and join us for a superb line up of classic rock, blues and pop with an amazing Ayrshire double header with the legendary Hue and Cry - the full band version! - and their very special guest Climax Blues Band. This is a stunning closure to an already amazing weekend of live music at Troon Concert Hall which features three nights, three days, six stages and features just under fifty live acts! This is a seated gig but due to the set up of the hall seats are un-numbered and therefore unallocated at time of purchase but will be issued in order of booking so if you have any seating requests please advise at the time of booking. Brothers Patrick and Gregory Kane formed Hue and Cry in 1983 and the duo made a huge impact in the late 80’s with the albums ‘Seduced and Abandoned’ and ‘Remote’ as well as massive hit singles such as ‘Labour of Love.’ Albums like ‘Stars Crash Down’ and ‘Jazz Not Jazz’ ensured Hue and Cry’s continued triumph in the 1990’s, whilst the release of the hugely applauded ‘Open Soul’ in 2008 brought them firmly back into the limelight. The release of their seasonal album 'Xmasday' (2009) and live album 'Bitter Suite Again' (2010), preceded the release of ‘Hot Wire’ (2012) which received rave reviews. To date Hue and Cry have sold in excess of two million records worldwide. 2014 signalled the 25th anniversary of the seminal Hue and Cry album ‘Remote’, released to not only huge acclaim but to multi-platinum success, spawning the singles ‘Ordinary Angel’, ‘Violently’ and ‘Looking for Linda’. To mark this Hue and Cry released ‘Remote: Major to Minor’ a multi-media celebration of ‘Remote’ which comes as a limited edition 48 paged book containing four discs, including a re-worked and re-imagined version of the original album. In 2015 the brothers returned to the live scene with both their stripped format and full live band. 2015 also marked the centenary of Frank Sinatra’s birth, an artist whose career has been a huge influence on Pat and Greg’s musical style. To celebrate they recorded ‘September Songs’ a covers album dedicated to the original ‘Chairman of the Board’. 2016 was a busy year for the band, especially on the live scene with performances throughout the UK. The duo embarked on a winter tour with Paul Young and were invited to join Bros singer Matt Goss on two dates of his solo Christmas Tour. To end the year on a high the band were special guests as part of BBC One Scotland’s live television broadcast for Hogmanay. In 2017 the band released their long awaited twelfth studio album Pocketful Of Stones to critical acclaim, gaining 4/5 stars in both the Sunday Express and The Scotsman. 2018 continued to be a very busy year for Hue and Cry who played headline shows and festivals throughout the UK and Ireland, including a British tour with fellow legendary band The Christians. The band show no signs of slowing down in 2019 with live shows up and down the country and a new album in the works. You in 1981, the reputation carrying right through until the tragic death of founder member Colin Cooper in 2008. Colin’s death could have meant the end of Climax Blues Band but his desire was for the band to continue creating the fine blues blend that the band has been associated with since its formation, and that desire has been accepted with relish by the remaining members of the band. George Glover has been at the keyboards in Climax since 1981, very much part of the nucleus of the band, Lester Hunt on guitar joined in 1986, drummer Roy Adams in 1987 and Neil Simpson on bass in the early 90s. This solid unit has flown the Climax flag with tremendous passion and style. Now there is a spring in their step, taking the band forward and already pleasing crowds throughout Europe, the ‘seamless’ transition in carrying on creating the unique Climax sound is the result of hard work, disguised by a band having a great time making music…. 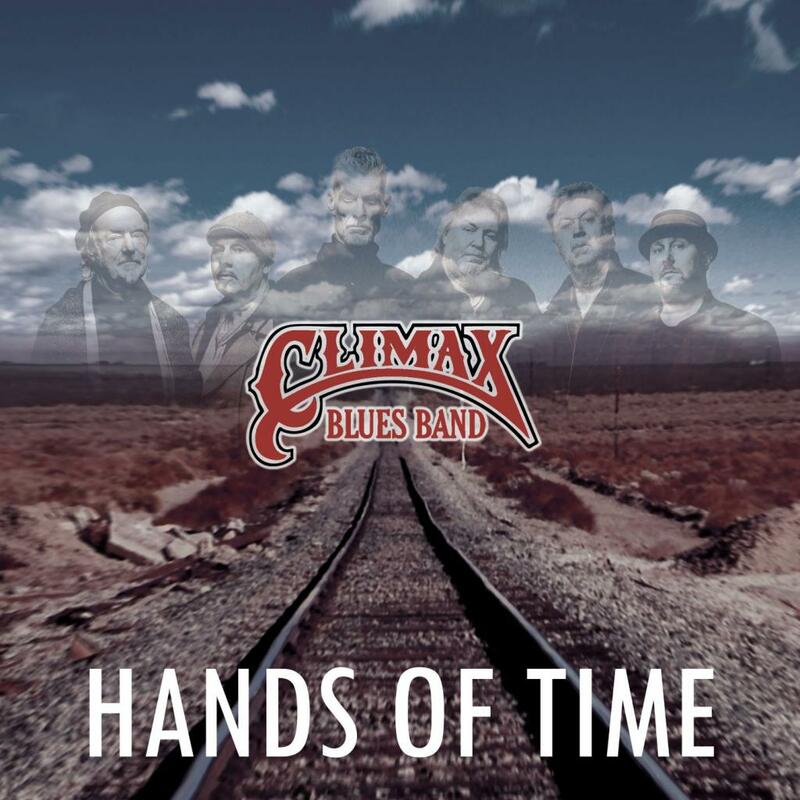 A brand new album of original songs has been recorded and is being released in 2019 - Hands of time is the 21st album to come from the Climax Blues Band and consists of 13 new tracks and a bonus previously unreleased track featuning the late Colin Coooper.